It's full blown apple season here in Southeastern Pennsylvania which means I'm basically baking something with apples almost everyday. It's inevitable really. Four hungry boys and a mostly unprocessed diet = a lot of baking from scratch. The part of baking I'm not so crazy about is the measuring. I'll measure flour and baking powder, but for the rest, it's much easier to put a pinch of this and a shake of that. It's faster. And easier. 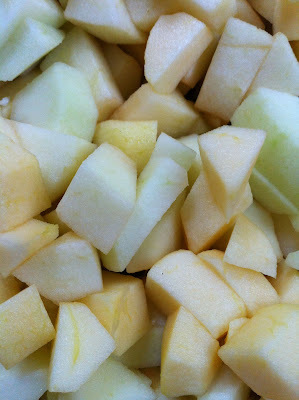 This crisp is made with a lot of apples. 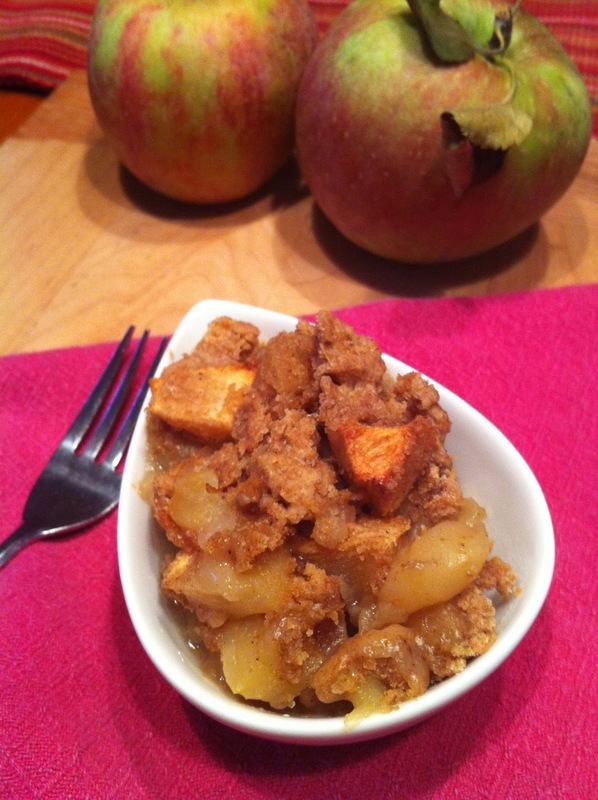 If you are making this for 2, then just use a few apples. It's all about proportions. You can't really go wrong. 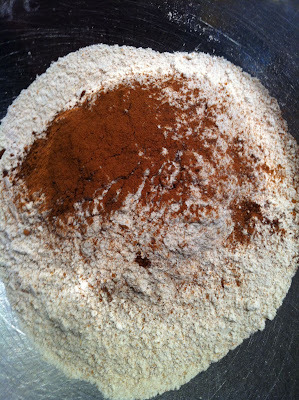 I used 1 cup of spelt flour and just sprinkled in some cinnamon, cloves, allspice, and nutmeg. Add half a stick of butter, cut into pieces. 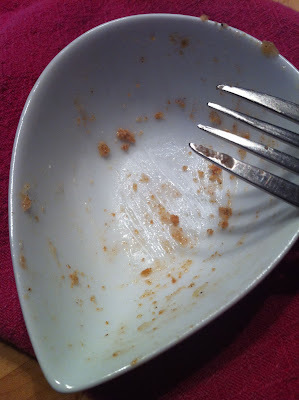 You can dig right in with your fingers and make it crumbly. Here's where you would add your sweetener. 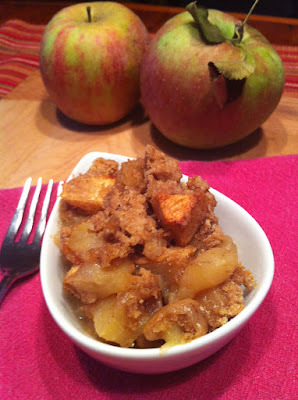 I totally forgot when I made this and the apples were so sweet we didn't miss it! We try to cut our sugar so we don't eat super sweet baked stuff. 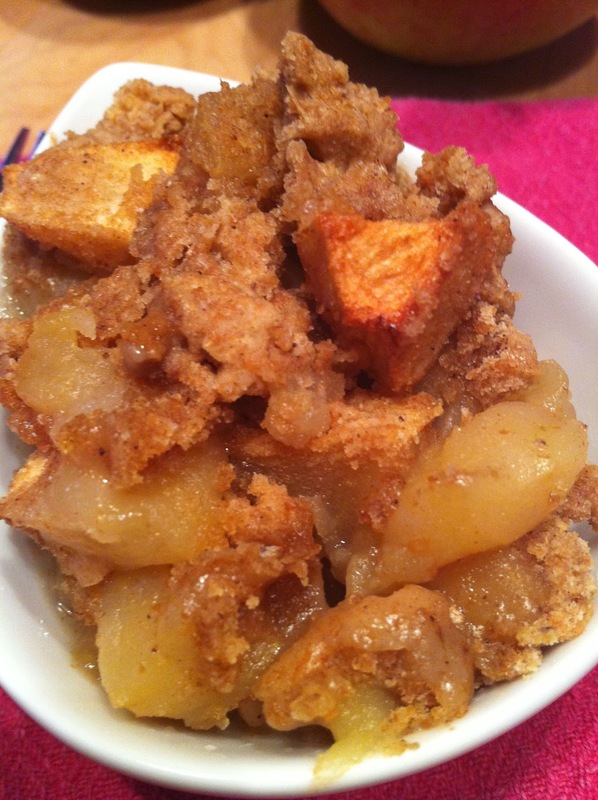 I would put 1 tablespoon of brown sugar in the crumb mixture. Sprinkle the crumb topping evenly over the top of the apples. You can also add some oats here if you like. Bake at 400 degrees (F) till browned and bubbly. 1. 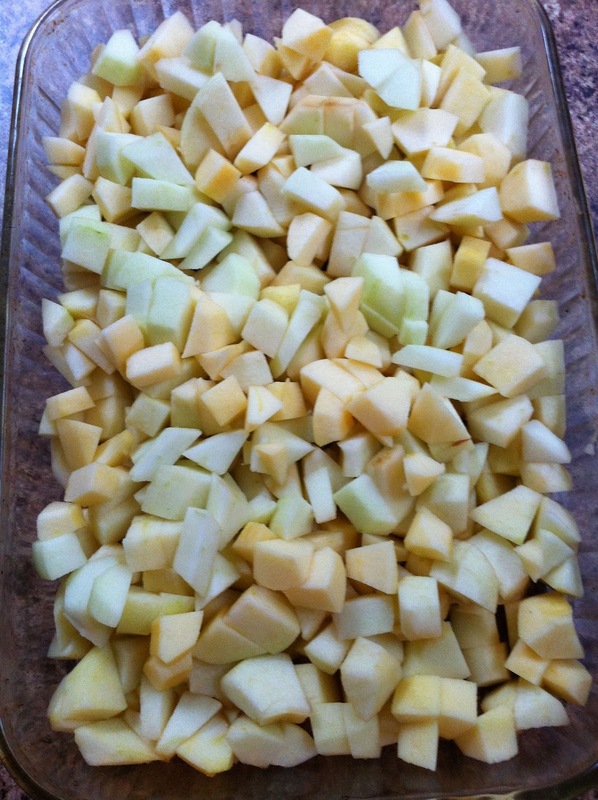 Place apples in a greased baking dish. 3. 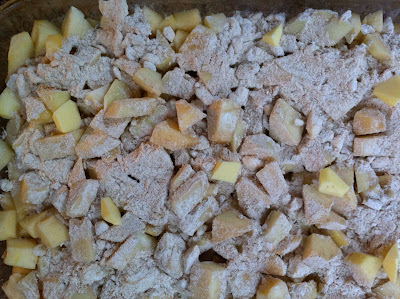 Cut in the butter till crumbly. 5. Bake at 400 degrees (F) 40-45 minutes, till browned and bubbly.